My business is currently a one-woman show. From finance to sales, content creation to project management, I have to juggle it all. Though I dream of the day I will be positioned to hire and grow a team, right now I have to rely on the support of digital tools to keep things running smoothly and efficiently. 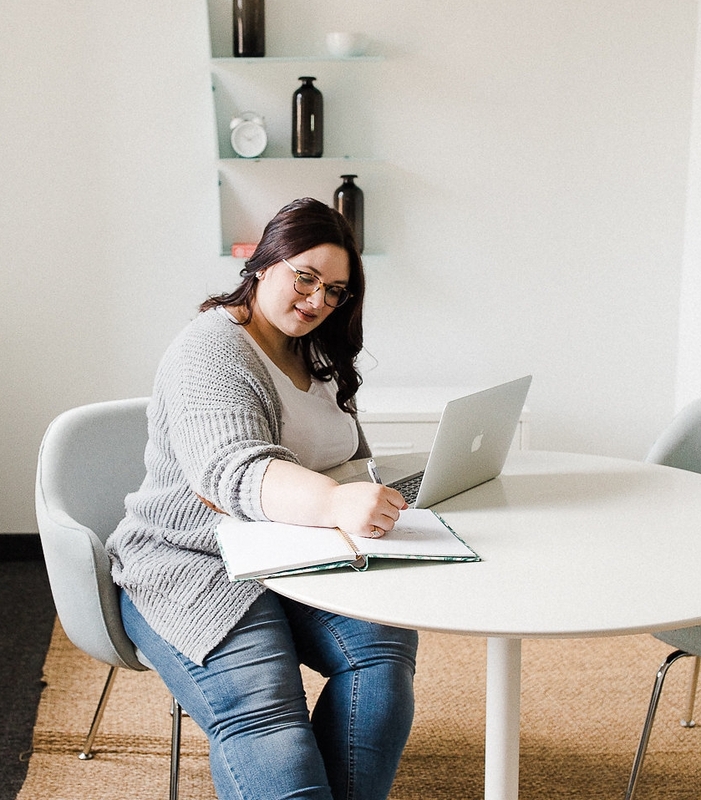 If you’re with me on the team-of-one front, or are just starting your business and want to ensure things go as smoothly as possible, I’ve put together a list of my five favourite business tools that keep my business running. Seriously, without these five systems, I would be at a loss. Not exaggerating - I did lose one or two of these three months in for about five days and it was awful! Later is my social media SUPERSTAR! Not only do I use it to schedule my clients and my own social media posts (from Facebook to Instagram to Twitter), but it also tells me exactly what content is working and what isn’t. This is thanks to Later’s powerful Instagram Analytics - and if you watch my Instagram Stories you already know Later got a serious analytic upgrade I totally nerded out over!! I love Later so much, I actually pay a monthly subscription for upgraded services, but they do have a free option available that’s still 100% worth it! Plus, Later constantly sends out incredibly valuable newsletters packed with tips and tricks for social media marketing that actually work. My Google Drive is a sacred space for everything in my business. I store everything in my drive, from content plans to project tracking to client agreements. It allows me to easily share files with my clients for review and feedback, provides a space for me to brainstorm and turn good ideas into action, and allows me access from anywhere and any device. I am an Apple girl when it comes to my hardware, but Google software (sometimes) makes my heart sing. I am not good at the finances. Whether it’s tracking my cashflow or getting clients to pay me, accounting is a task that can easily slip away from me. But Wave makes it easy, and doesn’t let it slip through the cracks. Not only does it automatically send my invoices out for me the day they are needed, Wave also accepts payments at a low fee, which has helped me get paid faster. And when I do get to that beautiful moment where I can hire, Wave offers a payroll system that will help me ensure that whole process goes smoothly. Which is great because I will have no clue what I’m doing! I am a content creator, and photography plays a huge role in that. But sometimes I don’t have the time to shoot all the content I need myself. So where do I go to find high-quality, useful stock images? Unsplash. So many beautiful options and the site is entirely free! I even contribute my own photos from time to time, and have been featured on their editorial feed! Capsule is a great CRM that visually shows me where my leads are at in the sales funnel so I know exactly what I need to do to keep everyone moving. The platform is free up to a certain number of contacts and two users, and their subscription fees are completely affordable once your business reaches that stage. I used to find CRM tools super annoying and frustrating to use, but not Capsule. Of course, there are a gazillion other tools and software I use in my business every week, but these five are not only my favourites, but the ones I absolutely cannot live without. They help me with my clients, and they help me with my business administration. Did I miss any must-have tools for your business? Are you going to try any of my faves now that I’ve sung their praises? Let me know!